Ford Madox Ford has not yet made it from the to-read list to my eyeballs, but from what I’ve heard, he’s magnificent. That’s one reason I’m excited about the BBC/HBO co-production of Parade’s End, based on Ford’s 1920s four-part novel about a complex relationship and the madness of war (and undoubtedly much more). You probably don’t need any more reasons to tune in, but I’ll give you two more: Benedict Cumberbatch; and, obviously, a detailed period setting. I do love being immersed in the past. Oh, and the director is Susanna White (BBC’s Bleak House and Jane Eyre) and the show will feature a great cast of British actors. The show is due at the end of the year. More at the Independent, here. The picture above is the first one released by the BBC (via). If you see any more, tweet me! I just raced through the first Phryne Fisher book, Cocaine Blues, by Kerry Greenwood, and it was a great deal of fun. The books (and the show) are set in Melbourne in the 1920s. 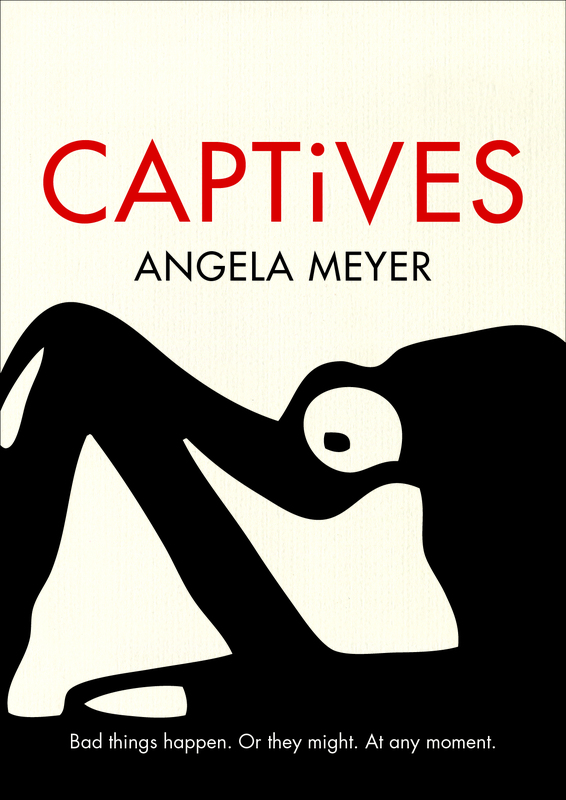 Phryne is a wealthy, brassy and adventurous detective. She was born into poverty so she is not blinded by her wealth (though she has a fine time with it). There are plenty of interesting female characters, like her maid Dot, and Dr Macmillan (a Scot who wears trousers *gasp*). The book had me looking up a lot of the locations and I’m excited to see how they’ll capture 1920s Melbourne. Not to mention the great costumes. 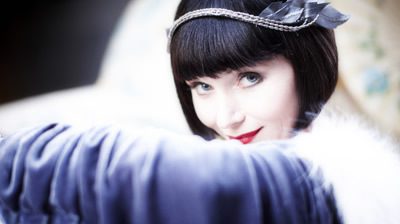 Phryne is played by Essie Davis, who was recently in The Slap. I think she’s perfect for the role of Phryne. Miss Fisher’s Murder Mysteries starts on ABC1 on Friday 24 Feb at 8:30. See the official Phryne Fisher website here for more details, and a preview of episode one. The books are readily available. I am really looking forward to Miss Fisher. Everything I have seen so far indicates that it will be a fun series to watch, and the costumes and sets look fab so far! My mother is freaking out over the Phryne Fisher series. She’s read all the books. If anyone can do a good job on Parade’s End, it’s Stoppard. How he makes the characters more appealing is anyone’s guess, though casting Cumberbatch is a great start. Tietjens is no heart-throb so Cumberbatch’s odd looks will help with that a lot and of course, he’s a very talented actor. The (3volume) book is a masterwork but I’m not sure how the modernist style will translate to popular TV, Downton Abbey it definitely isn’t. It might have to move very far from the book to make good TV. oooh, FMF on telly. Thanks for that news, that is exciting. I am just so pleased Essie Davis is Phryne. She’s perfect.